This scheme is aimed at Students in years 12 & 13 and under graduates who are considering a career in construction. Through representatives of the construction industry, selected students will be able to experience the specific sectors of the construction industry by partnering them with local Professional Engineers, Architects, Quantity Surveyors for a shadow placement lasting up to one week. The scheme is administered by the Department for Education, Sport and Culture (DfESC) and initially managed by the Jersey Construction Council. Support from the Association of Jersey Architects (AJA) and The Channel Islands Group of Professional Engineers (CIGPE) ensures as many of the industry skills are made available. Application forms will be sent out and when returned, collated by the JeCC. Once evaluated, interviews (no more than 20 minutes) will be held, normally on one day. Interviewers will be in pairs (industry member and careers staff) and evaluate following a set criteria. Once the student’s requirements (which area they are interested in) are identified, matching can take place. Students will shadow for between 1 day and 1 week, giving them a sound understanding of the various roles. As many member firms as possible are required to submit names and professions of individuals who wish to be involved in the scheme, along with their preferred times (2 days, 3 days etc) and dates. Please download and complete the application form and return no later than March. 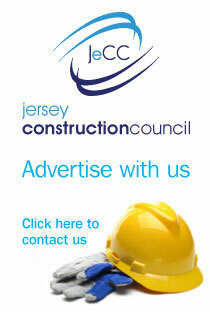 If you would like to discuss this further please contact Caroline Harrington on 862983 or info@jerseyconstruction.org.